Sponsor an Angel on our waiting list. Our “Adopt An Angel” program is an ongoing gifting program. We have quite a few people needing help. Please donate whatever you can to help those is need of a miracle. It only takes a few clear vessels to change the world. You all know that everyone gets a miracle! We are not here to suffer for ever! Thank heavens. 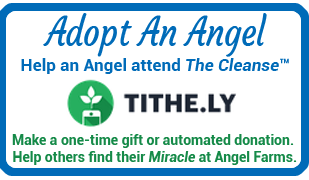 We hold a vision for Abundant “Angels” to gift monies to help support new “Angels” through The Cleanse. Many graduated “Angels” have sponsored their friends and loved ones who have greatly benefited from their gifts. We have a waiting list of Angels who need financial help in order to do The 10 Day Cleanse at Angel Farms. Here is an opportunity for you to affect the world with your gifts of abundance. Together we can make this vision a reality. All donations are tax deductible. 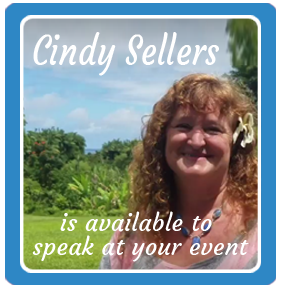 We are a Hawaii Nonprofit registered with the Hawaii Dept. 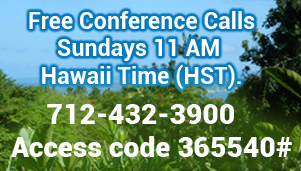 of Commerce and Consumer Affairs as well as a Corporation Sole with the State of Hawaii! Your donation will change someones life! Help someone in need to visit Angel Farms. Miracles happen! First, say out loud, THANK YOU I AM WORTH IT!!! Yes you are! Now write this down in your most beautiful hand writing and color it up. Now put it above your bed and morning and night. Repeat Thank You I am worth it. You are stating a vibratory command that Spirit help to support you to be a clear vessel of love and light. You are Worth It! Do not be afraid to ask your loved ones for help. They will receive great blessings in the giving and someone has to be open to receive. Be open! You do not have to know were the funds will come from. Just trust that when you are healthy and clear you can help a lot more lives. Right? !